U.S. Energy Secretary Rick Perry attends a ministerial clean energy seminar in Beijing, China June 6, 2017. 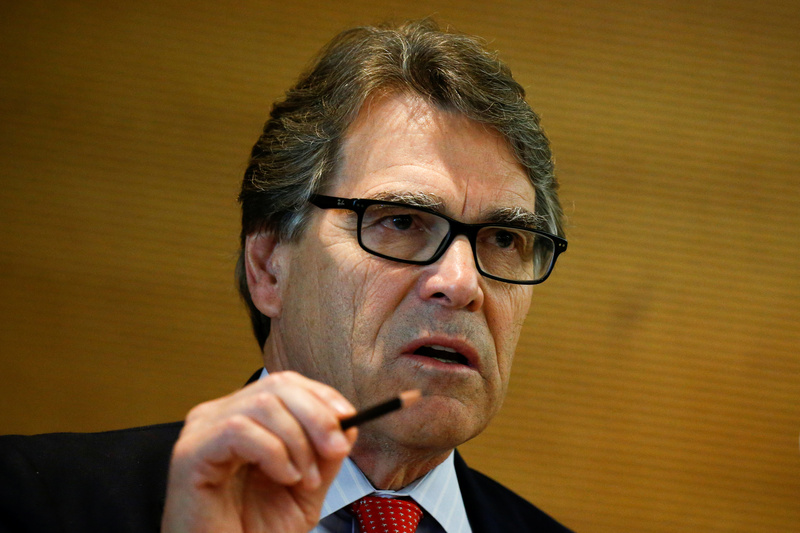 The Federal Energy Regulatory Commission rejected U.S. Energy Secretary Rick Perry’s proposal to subsidize coal and nuclear power on Jan. 8, saying it did not satisfy “clear and fundamental legal requirements” under the Federal Power Act. Entergy shut its 688-megawatt Pilgrim nuclear power plant in eastern Massachusetts on Jan. 4 because one of its lines could not connect the reactor to the New England electric grid. The outage occurred during a winter storm in the Northeast that sent tides in coastal areas to near-records. The storm also led to a temporary spike in natural gas prices. According to S&P Global Market Intelligence, two different coal producers said frozen coal was stuck in railcars, and mechanical problems with trains and equipment and ice on the rivers may have caused some utilities to get less coal than they expected.